As the days get longer, help yourself to fresh seasonal flavours. A perfectly ripe pear can be the best things in the world to eat. The flesh is creamy, smooth, and sweet, and the juices so abundant they run down your chin. Their fragrance and flavor makes them a fall and winter favorite in desserts ranging from the elegant poached pear to more homey cobblers and crisps. It also has more savory uses: as part of a cheese course, sliced in a green salad, and paired with pork roasts. 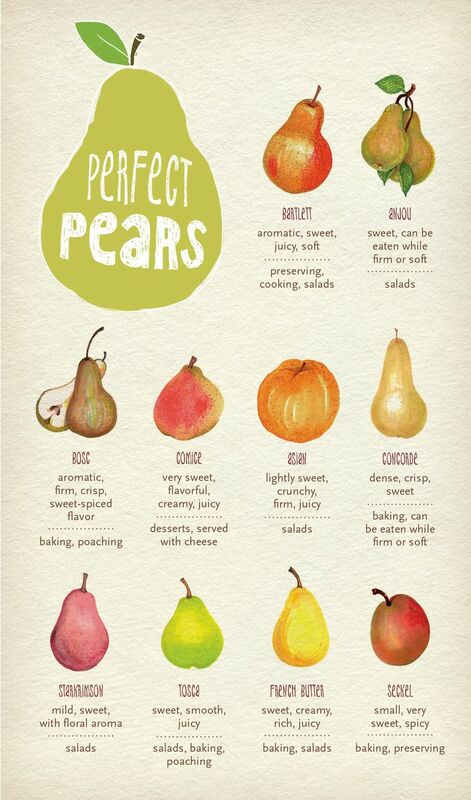 Pears come in a variety of sizes, with Seckels among the smallest and Bartletts among the largest; their colors range from yellow to tan to red as well. The end of summer is approaching and the autumn ingredients are starting to ripe. Eating what is in season is best.